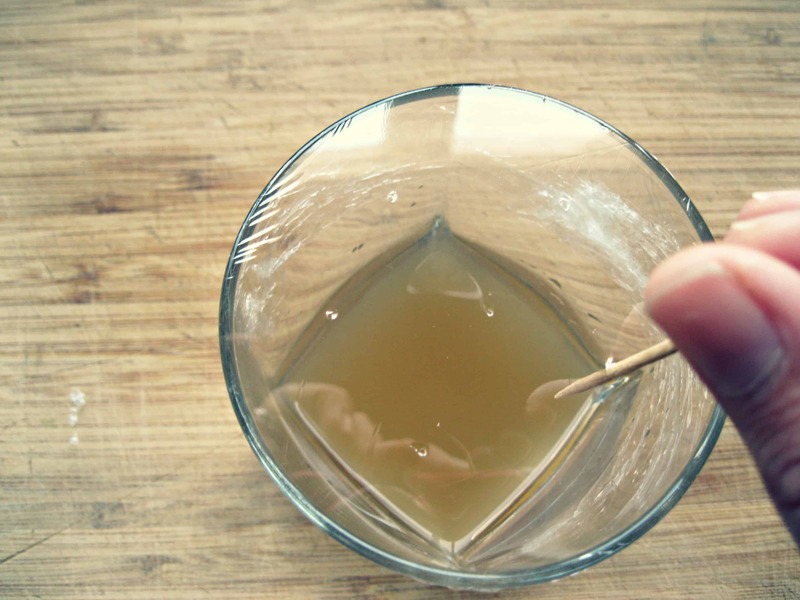 This tutorial for a homemade fruit fly trap uses everyday kitchen ingredients to get rid of the bugs naturally! Easy, effective, all-natural and inexpensive. We interrupt this stream of tomato chatter to bring you an ingenious solution to a problem that seems unavoidable this time of year. Well, only if you keep boatloads of sweet summer produce on your counters. 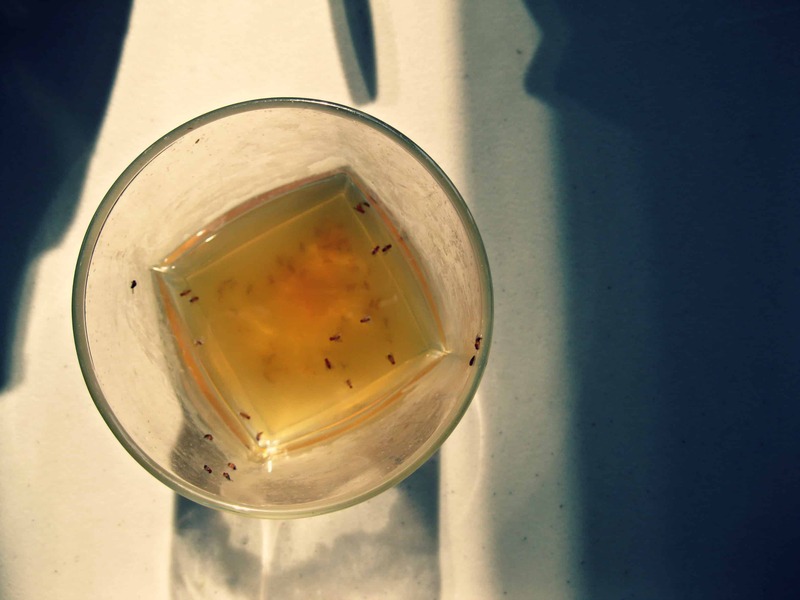 You may currently be suffering from fruit flies. Symptoms include: seeing tiny specks in front of your eyes, feelings of severe irritation and annoyance, excessive cleaning of the kitchen, and the absolute worst: finding larvae crawling on your precious hand picked fruits. Shudder. Even the word larvae gives me the heebie jeebies. When it gets to this point, you know you have a problem. Every August these little pests start buzzing around, and if left to their own devices, start making themselves at home real quick. In just a few days, hotel fruit fly can be booked to capacity. They start overstaying their welcome almost immediately. As I mentioned in this post, it’s best to keep your tomatoes out at room temperature in order to to achieve optimal flavor and texture. But the problem with that, is their inherent sweetness attracts these little buggers like nobody’s business. That’s why I owe it to you guys to share my method for eliminating fruit flies once and for all. Chaser and I have been searching for the ultimate fruit fly trap for years, and this one has by far been the best. 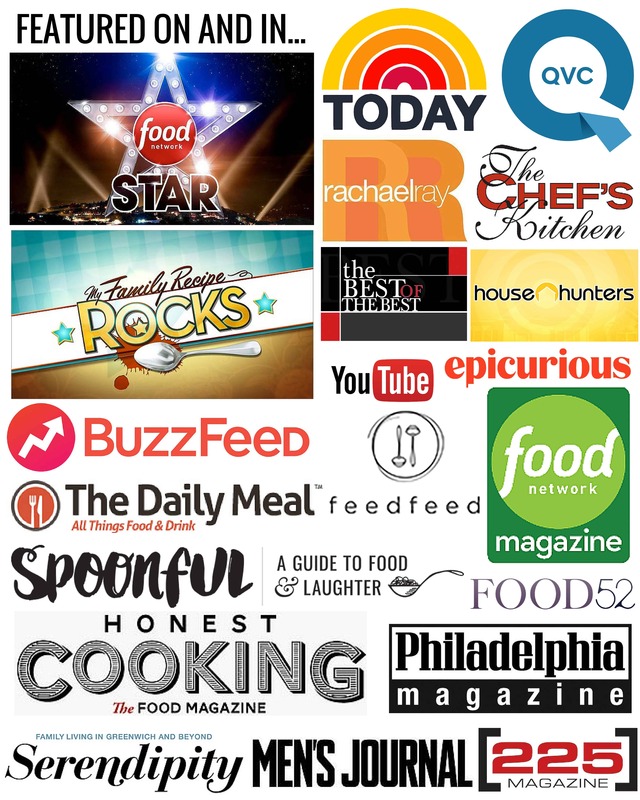 We’ve tried using rotting fruit, different vinegars, dish soap, inverted soda bottles… you name it, we’ve tried it. 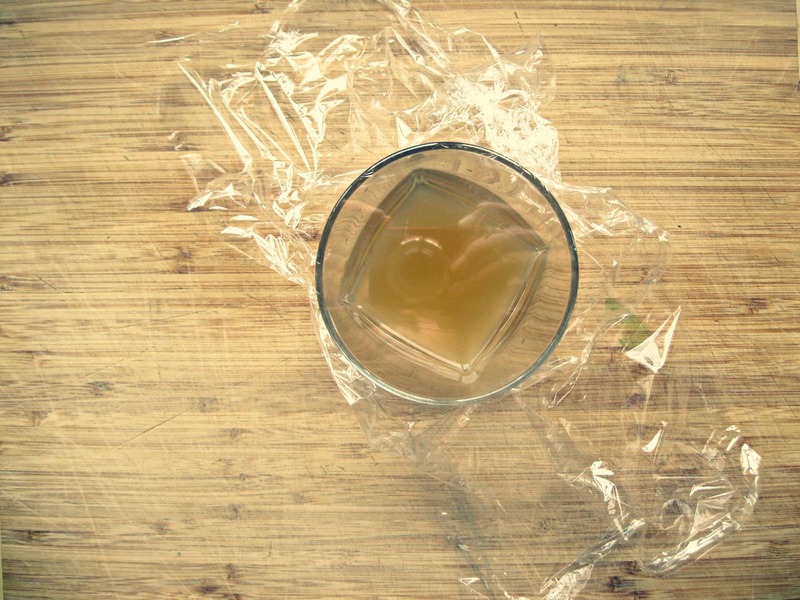 A clear glass, some apple cider vinegar, and plastic wrap. 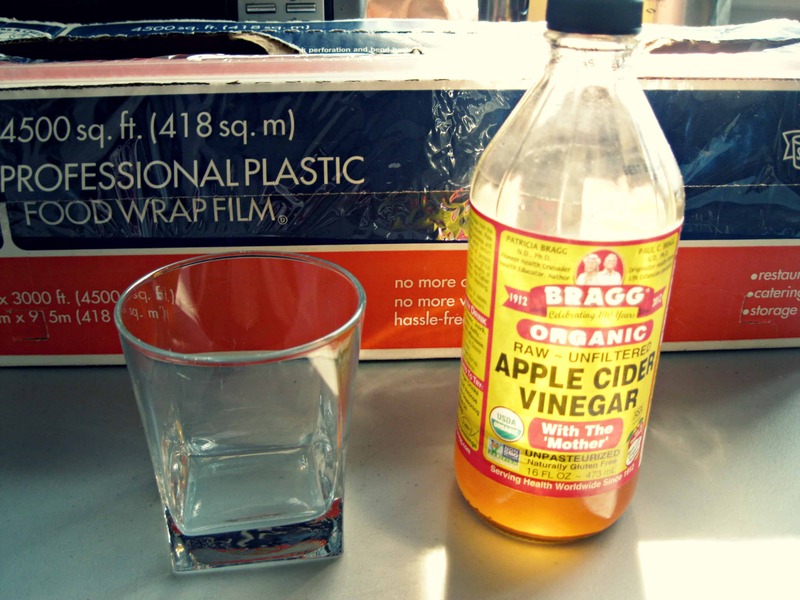 Your plastic wrap doesn’t need to be professional and your ACV doesn’t need to be organic. Your glass however, does need to be clear. I assume you have plastic wrap and a clear glass on hand, but if you don’t have the ACV you should absolutely go out and buy a bottle. It’s cheap, hosts a slew of health benefits, and makes an awesome vinaigrette for fall salads (hint: it goes great with APPLES!). 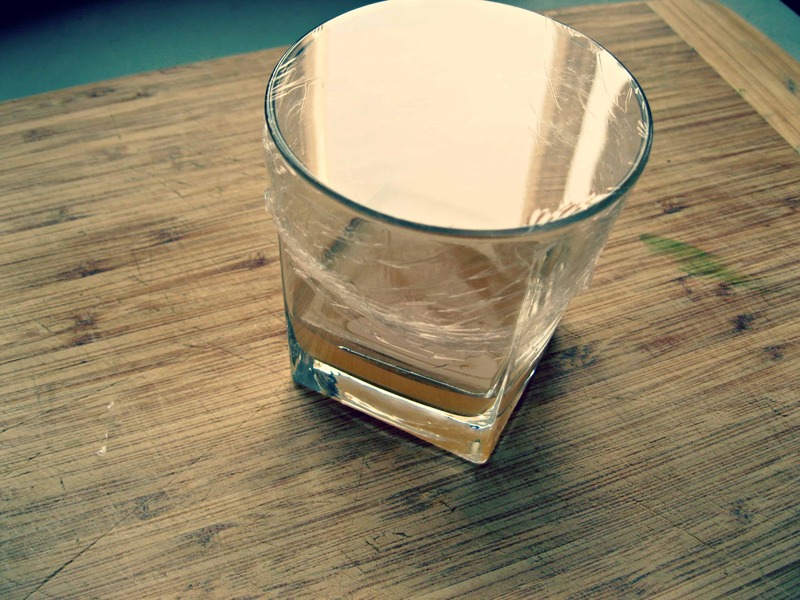 Then, top it with clear plastic wrap, making sure it’s tight and flush to the glass. So flush, you can see the reflection of the camera you’re using to take the picture. Then, secure the wrap to the sides of the glass. I only had a massive sized roll of plastic wrap at my house, so I used scissors to cut off some of the excess first. I know, this is difficult stuff. Are you still following along? Use a toothpick or a fork to poke a few holes into the plastic. This is where it can be a little tricky. You want to make the holes big enough so the flies can get in, but not so big that they can find their way out. About 10-15 holes should do. Put your nifty little fly trap right next to your fruit bowl, and give it a day or so to work it’s magic. Just look at the results! I get such a kick out of watching them crawl around in there, trying to find their way out. But they can’t! It’s just that anyone who puts their paws on my precious tomatoes without permission is asking for it. Now I need to go read your tomato enthusiasm post!!! awesome! haha, thanks. Its magic! Hehehe!! My mom used to say (about ANY insects in the house), “all unwelcome guests will be killed on the spot!” as she took a fly swatter to the picture window. I pretty much concur! We’ve been fortunate so far with fruit flies (or lack thereof), but in previous years, if the infestation (I really dislike that word) got out of hand, I’d take the vacuum hose to the kitchen area. 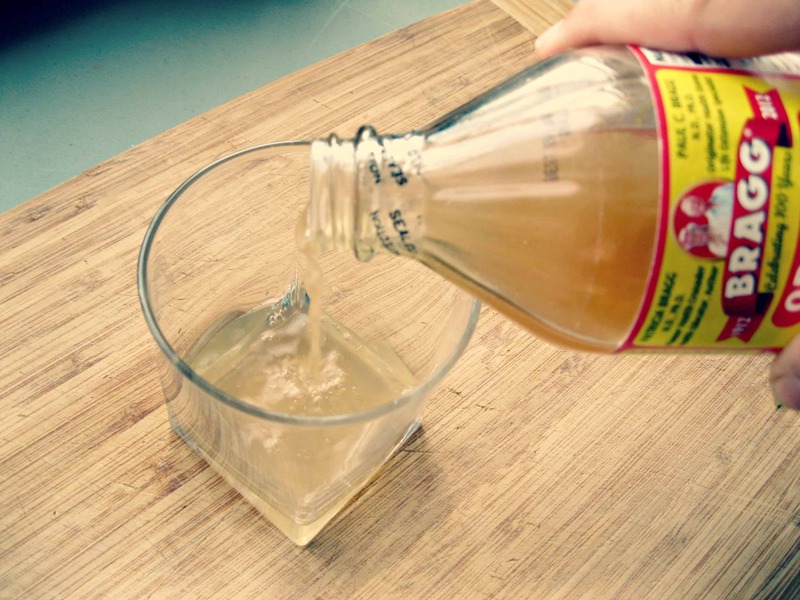 I like the ACV idea as a preventative, though. Thanks, Coley! I got close to the vacuum this week as my cherry tomatoes were going bad quicker than I could use them! The fruit flies were out of control. 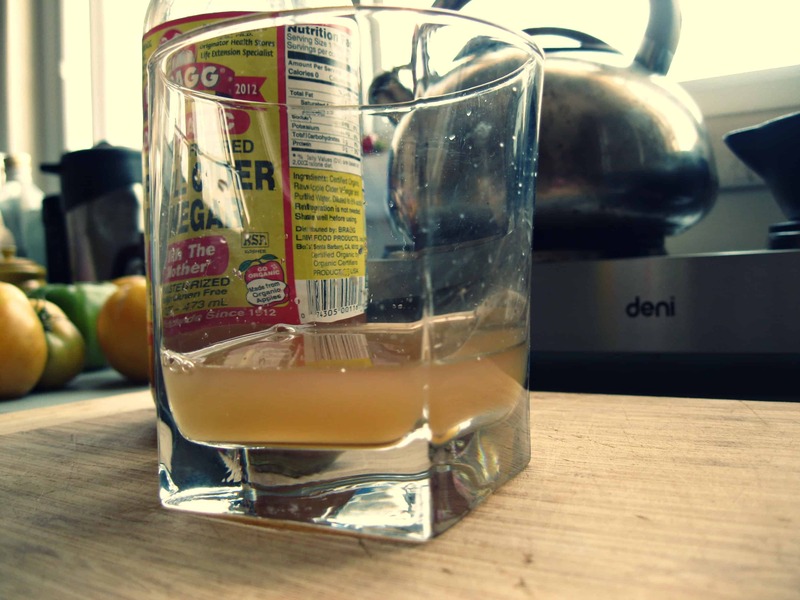 But the ACV totally works. Give it a shot!! See you soon!